Welcome back to the ongoing conversation about indigenous prophets and Messengers of God between Baha’i authors Christopher Buck and Lakota artist Kevin Locke. Q: Would it be a good thing, Kevin, in your view, if Lakota and Haudenosaunee people were to investigate the teachings of Baha’u’llah? Would doing so add or subtract—enrich or detract—from their own sacred traditions? The Revelation, of which Baha’u’llah is the source and center, abrogates none of the religions that have preceded it, nor does it attempt, in the slightest degree, to distort their features or to belittle their value. It disclaims any intention of dwarfing any of the Prophets of the past, or of whittling down the eternal verity of their teachings. It can, in no wise, conflict with the spirit that animates their claims, nor does it seek to undermine the basis of any man’s allegiance to their cause. Its declared, its primary purpose is to enable every adherent of these Faiths to obtain a fuller understanding of the religion with which he stands identified, and to acquire a clearer apprehension of its purpose. It is neither eclectic in the presentation of its truths, nor arrogant in the affirmation of its claims. Its teachings revolve around the fundamental principle that religious truth is not absolute but relative, that Divine Revelation is progressive, not final. Unequivocally and without the least reservation it [the Baha’i Faith] proclaims all established religions to be divine in origin, identical in their aims, complementary in their functions, continuous in their purpose, indispensable in their value to mankind. – Shoghi Effendi, The World Order of Baha’u’llah, pp. 57–58. Unequivocally and without the least reservation it [the Baha’i Faith] proclaims [the Lakota and Haudenosaunee sacred traditions] to be divine in origin, identical in their aims, complementary in their functions, continuous in their purpose, indispensable in their value to mankind. Suppose I were to ask the very same question—but the other way around: Would it be a good thing if Baha’is—and our other interested readers—were to investigate the teachings of White Buffalo Calf Woman and Deganawida, the Peacemaker? A: Yes. That said, Chris, White Buffalo Calf Woman and Deganawida, the Peacemaker, are simply representative of the myriad Messengers who have appeared in this half of the world. Attach great importance to the indigenous population of America. 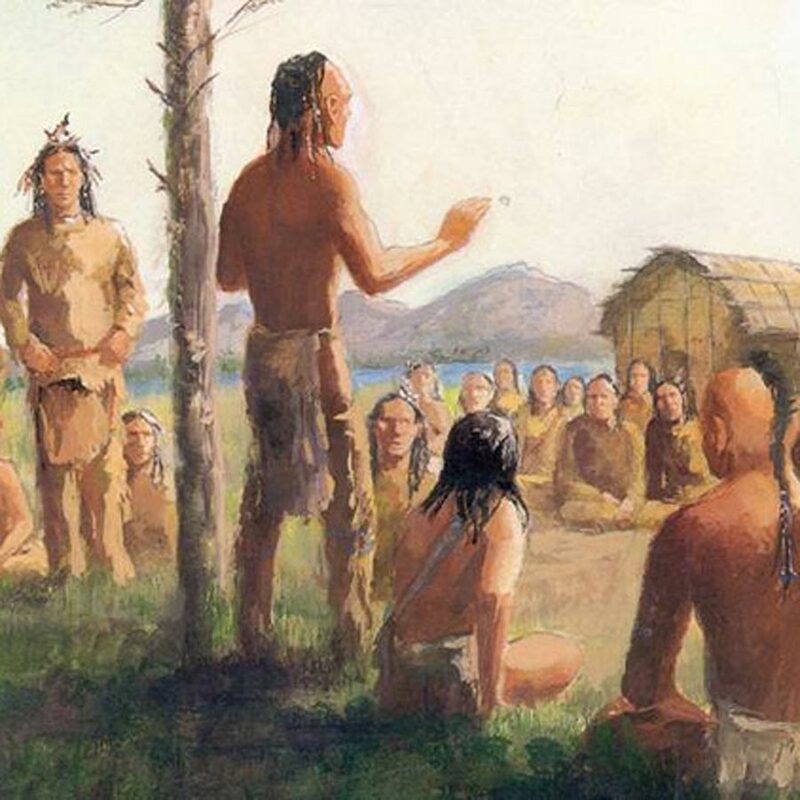 … Likewise, these Indians, should they be educated and guided, there can be no doubt that they will become so illumined as to enlighten the whole world. – Abdu’l-Baha, Tablets of the Divine Plan, p. 32. Kevin, according to your understanding of this remarkable Baha’i prophecy, will the indigenous population of America “enlighten the whole world” purely by virtue of becoming Baha’is and being enlightened by the Baha’i teachings? Or will there be a synergy between the indigenous spiritual heritages and the Baha’i teachings—once they connect, interact, and intermix—such that there will be a powerful new perspective that will be offered to the world at large? Is this “light upon light”? Or a compound enlightenment, as it were? 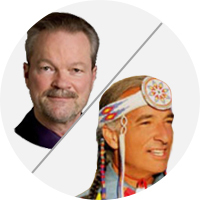 Q: In your view, Kevin, why should Baha’is—and our other interested readers—respect sacred indigenous traditions, such as the Lakota and Haudenosaunee spiritual heritages, and recognize White Buffalo Calf Woman or Deganawida, the Peacemaker, as Messengers of God? A: If Baha’is and others recognize White Buffalo Calf Woman or Tekanawita [Deganawida, the Peacemaker] as Messengers of God, then doing so affirms the “three onenesses” the Baha’i Faith teaches—the oneness of God, the oneness of all religions, and the oneness of humankind. That enriches our sense of sacred history—it would be an unthinkable breach of respect and protocol to do otherwise! Q: Do you agree that there needs to be “parity” and reciprocal recognition and respect, as between Baha’is and the peoples of the Lakota and Haudenosaunee spiritual heritages? Q: What can Baha’is contribute to the advancement of the Lakota and Haudenosaunee peoples, if invited to do so? What do the Baha’i’s potentially have to offer? A: It seems that the Baha’i community is finally at the stage where human resources are being developed that will be able to effectively carry the Baha’i study circles—known to Baha’is as the institute process—to Indigenous communities, both rural and urban. When that occurs, along with devotional gatherings, children’s classes, junior youth empowerment groups, community service projects and social action, as well as dialogue and public discourses on important social issues, it will have a significant impact. For more information on the life and teachings of Deganawida, the Peacemaker, see: Christopher Buck, “Deganawida, the Peacemaker.” American Writers: A Collection of Literary Biographies. Supplement XXVI. Edited by Jay Parini (Farmington Hills, MI: Scribner’s Reference/The Gale Group, 2015), pp. 81–100. I really enjoyed this article, and was blown away by the quote from Shogh Effendi in the beginning. Thank you both for this dialogue. i really enjoyed this article! i am trying to figure out how to print it out. the text in the right margin is interfering. would it be possible to be sent this article minus that text. in any event - thank you for this posting. never mind - i was able to print it out. thanks for the article! that Divine Revelation is progressive, not final. Yes, indeed! I interpret "divine revelation" as the consciousness behind The Universe. The lack of finality could also be interpreted as humanity will find a common, shared way forward out of this 6th mass extinction of which we are all a part and from which lies a human cause.